We can often get tangled up in our self-image. Your possessions can be emotionally tied to the person you see yourself being. Letting go of your possessions can be like giving away a part of yourself. This can make a closet clean out difficult. Security: Belongings also provide security. Belongings insulate you against not being prepared enough. Possessions are bought and stored for future use. 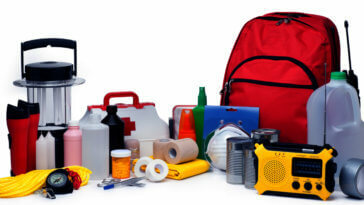 Storing things means you will be ready for any catastrophic event. Personal History: You become a collector of possessions that represent memories of your past and present life. You treasure articles that belonged to you as the person you used to be. You accumulate things that represent you as the person you are today. Maybe you purchase things as part of your fantasized future dream life. An example would be buying that expensive dress that’s on sale. You know you will lose those 20 pounds starting next week, and the dress will fit perfectly. Make your wardrobe and your closet a realistic reflection of the person you are at the moment. Money: You spent your rent money to buy that stunning jacket. Now you feel obligated to keep the item due to its monetary value. Misperceived Value: You’re still treasuring the gift your first boyfriend gave you 20 years ago. Buying Mistake: You bought it by mistake, and you don’t want to admit it. Like to Shop: Everyone likes to shop and so do you. Active and Still Using: You convince yourself you are still actively wearing and using clothing that you aren’t. Uniqueness: The color of the sweater fits so uniquely with those pants. Others will see how well organized you are. More belongings mean you will need to take more time to organize the items. Your time is precious and valuable – and you need time for yourself. Think of all the work to organize a garage sale. Will you be standing outside in the heat or the rain? Clutter can be detrimental to your mental and physical health. 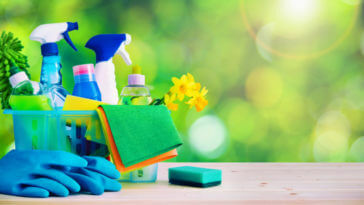 Some psychologists believe that having a clean, organized home is necessary for your health and well-being. Reduce Anxiety. Decluttering can reduce your anxiety. Cluttered space creates chaos in an already overwhelmed brain (Psychology Today). A disorganized home creates additional negative stimuli which in turn makes you irritable. Clutter becomes a vicious shame cycle. Clutter increases stress. You put pressure on yourself to reorganize and remove all those things that make using your closet difficult. Improve Your Quality of Sleep. 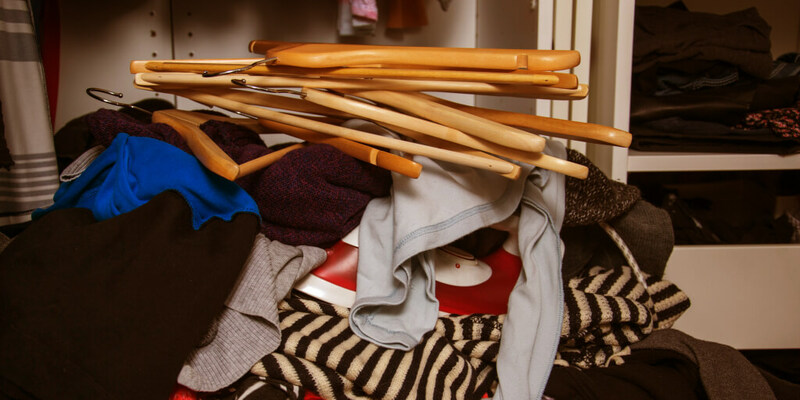 The clutter in your closet can interfere with your sleep. 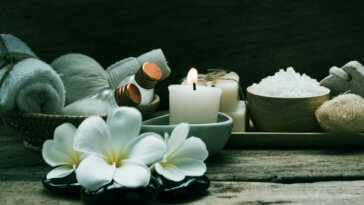 Knowing that the clutter is there and needs your attention can keep you from getting the good night’s sleep you deserve. 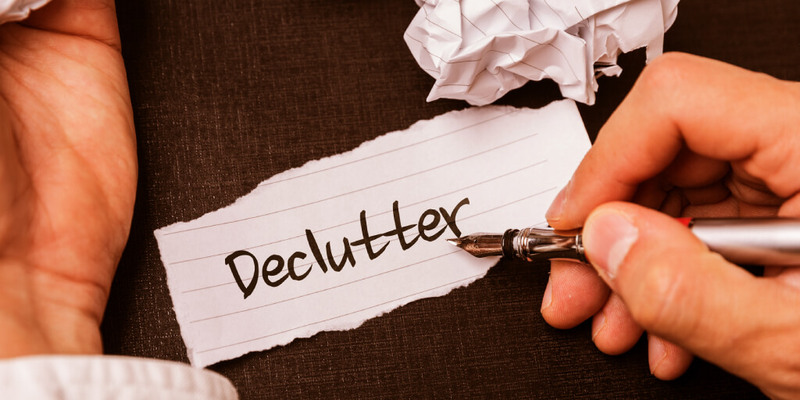 Decluttering can Make You More Productive and Creative. Previous research states the happier you are; the more productive and creative you will be. 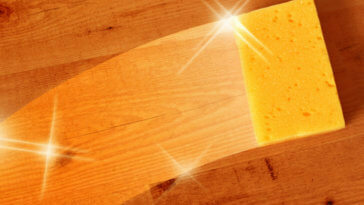 Just accomplishing the task of reorganizing and removing the clutter will improve your spirits. Decluttering can Free up Your Schedule. 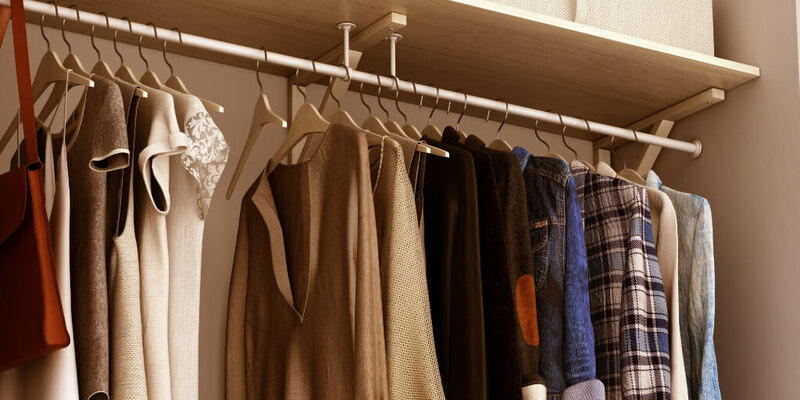 If your closet is organized, you will know exactly where to find an item that you are looking for. You won’t waste time in the morning desperately trying to find an article of clothing you want to wear to work. Your closet looks overstuffed. You’ve lost track of where you put those special things you haven’t worn or used for a while. You want to look for them. But you don’t want the inconvenience of spending that time moving things around and then trying to fit them back in place again. Creates pleasure when you look in your closet and enjoy everything you see. (1) No Longer Wearable. Segment clothing into two piles: One pile for ripped, faded or stained and another pile for old clothing that can still be donated. (2) Off-season Clothing. 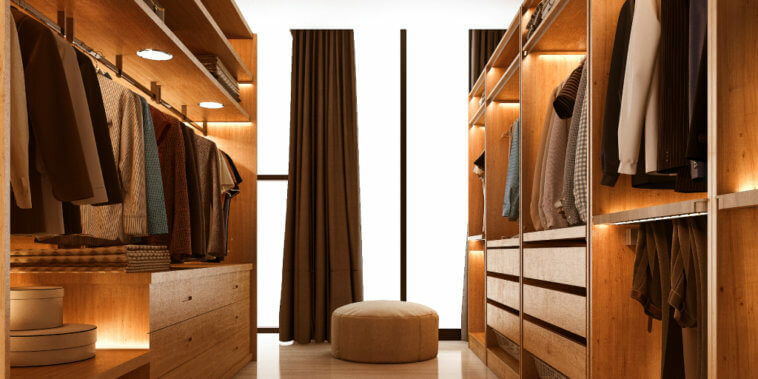 Take off-season clothing and place it in another closet to free up some space. If you haven’t worn this clothing at all over the past year, get rid of it. Only keep what you are currently wearing in this closet. (3) Purge the Clothes that Don’t Fit. If your weight yoyos, keep some clothing from both sizes. There are probably some items that have stretched, shrunk, or just never fit properly. 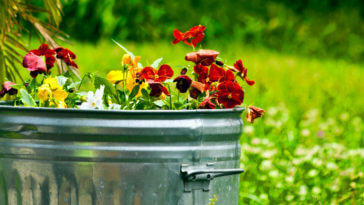 Remove these entirely – donate or throw them out. Having to deal with these clothes continuously can drain you physically, mentally, and emotionally. (4) Let Go of Those Additional Accessories. Sometimes one purchase can lead to another and another – more than one extra item to compliment the first purchase. If you are constantly adding to your closet, you’re constantly draining your bank account. (5) Think About the Idea of Owning Just One Type of Outfit or Accessory. Own just one black dress, one large handbag, or one rain jacket. (6) Don’t Get Caught Up in Fashion Trends. The fashion industry constantly changes trends. The fashion industry always changes trends to guarantee their survival. Don’t get caught up in their tricks. Take control by finding your special timeless fashion. (7) Physically Touch Each Item of Clothing. Empty your closet. Only return the articles you truly desire. If that process feels too overwhelming, empty the closet in sections – shoes today, dresses, suits tomorrow. 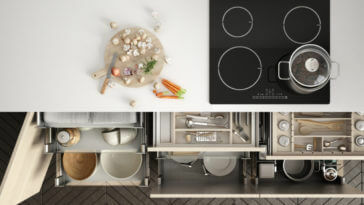 Whichever way you choose to arrange this project, be sure to touch each separate item. Touching each thing will help to force you to make a decision. (8) Pick a Number to Help Remove Items. To get started removing clutter from your closet, choose 10 items – any 10 you want – and donate them. You will likely find this method was not too difficult. Now try removing 15 items this time. (9) Try Reducing the Amount of Clothing. What is the optimal amount of clothing that you require? Put 50% of your clothing in another room for two weeks. See how much quicker you can get dressed. You will likely be much happier with fewer wardrobe choices. You will have to test these ideas out to know. You can apply inexpensive products to declutter your closet. These products will save you time as you will be able to install them yourself. These organizers will save you money and will look impressive. Helping yourself to become more organized and efficient will benefit your mood and your sense of well-being. (1) Towel Bars. Attach a towel bar to unused wall space to hang scarves, belts and accessories instead of using hanger space. This trick allows you to display your collection personally. (2) Boot Organizer. Boots are difficult to store. They bend at the ankle and take up twice as much space. (3) Built-In Drawers. These are made of solid construction, take up very little space but need to be professionally installed if you are not handy with tools. The drawers could hold your jewelry and accessories. (4) Special Hangers. Open, slim and handy. 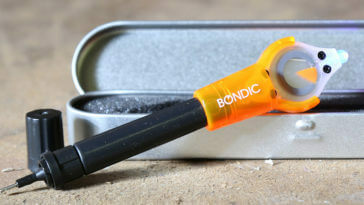 They are designed for quick filing, and you can easily grab a pair of pants quickly. (5) Add an Extra Bar. Add an extra bar with hooks to hang shirts and blouses on. The hooks create a space between items to keep them from getting squashed and wrinkled. (6) Towel Racks. Hang them on the inside of your closet door to hold pairs of high heels. This method keeps the pairs together and saves time – not having to sort through a pile of shoes for the other shoe. (7) Shelf Dividers. These are handy to keep different items separate and keep them from falling over. You can stack sweaters and t-shirts higher. 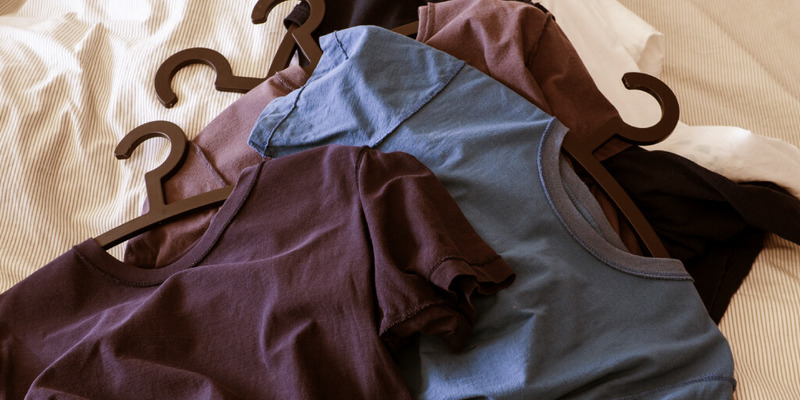 Last tip – segment your clothes into specific categories. For example, keep all your coats and jackets in one area, your pants in another, your blouses or shirts in another section of your closet. Or arrange your clothes by garment type or occasion. 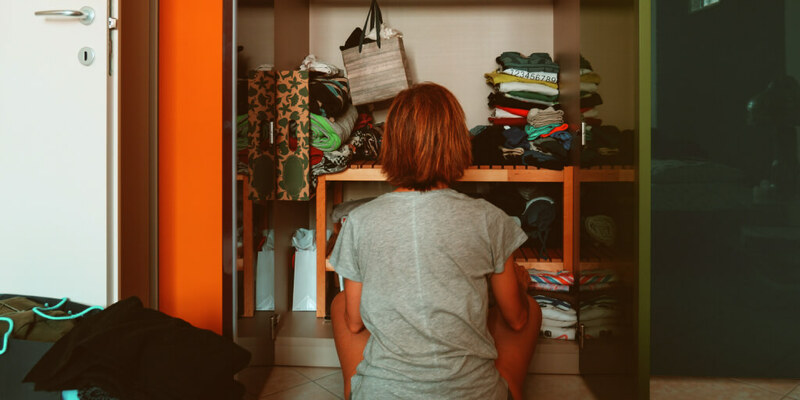 Make decluttering your closet a gift to yourself. You will feel happier, healthier, more creative and more productive.